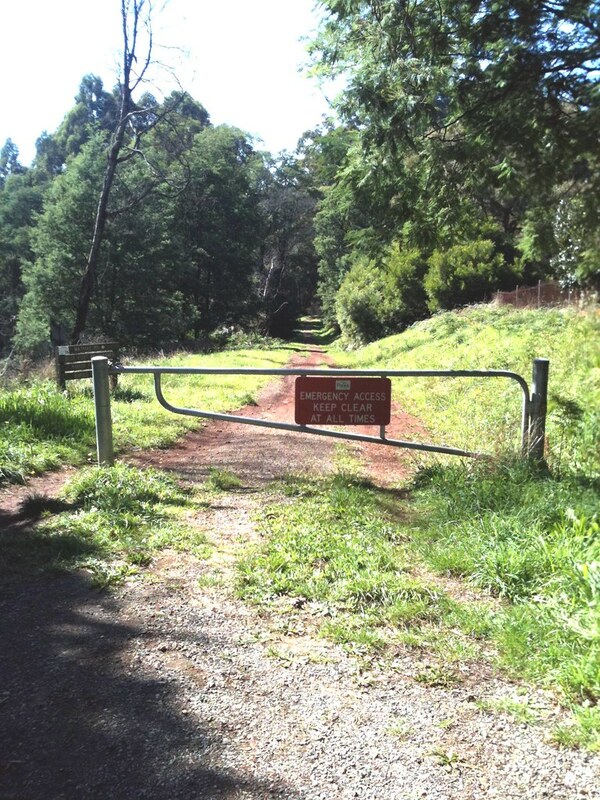 Melbourne Gravel Grinders: MGG #2 this Sunday! As always, some roads looked great on Google Maps but turned out to be duds - too boring; unridably steep; single lane road with too many oncoming trucks and no shoulder to escape to etc. Likewise, some sections were not marked on any maps but, from looking at the surrounding area we thought, "There's gotta be some sort of path connecting these roads!" and, on actually riding out there and scoping it out, there was indeed a path. The terrain for this ride will be, in varying degrees, steep, fast and moist. We'll be climbing over Mt Dandenong and down the other side where we'll ride on roads covered with mulchy leaf litter which may be slick and wet in places. We'll encounter sections of reasonably rocky road that will be easier going with fat tires and low pressure (watch out for pinch flats though). There'll be a bit of climbing but the scenery's so nice you probably won't notice it. Much. To sum up, it's gonna be a ripper. The big old growth forest of the Dandenongs is so different to the dry hills around Hurstbridge. It's a beautiful part of the world. We'll be stopping in at Cog Bike Cafe for one of our checkpoints. If you haven't been there, you're in for a treat - good food, good coffee and a bike shop on site. It's on the Lilydale to Warburton rail trail and it's run by Damo who can not only fix your bike, hire you a bike or sell you a bike, he can also build you a custom frame. 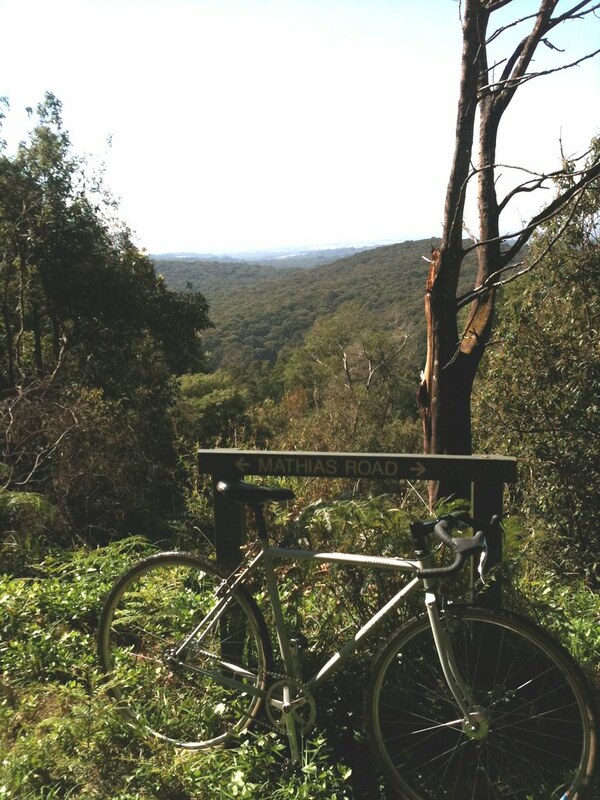 His work is amazing - check out Andy's pics of Damo's "Mynd Ride" over on fyxomatosis. Incredible. So, rego will open at 9:30am this Sunday for a 10:00am roll-out. For those looking to catch the train to the start/finish, the closest station is Boronia (on the Belgrave line). If you get the train that departs Flinders Street at 8:06am you'll have plenty of time to ride the 3km from the train station to the start at The Basin. If you miss that one the next train is 8:36am. Look for us in the park across the road from the shops.